Layering copper plates or silkscreens, I print on handmade paper or linen, one layer at a time, building surfaces that fuse color and texture. I often use materials from the three dimensional work in the prints and overlap ideas from one medium to the other. 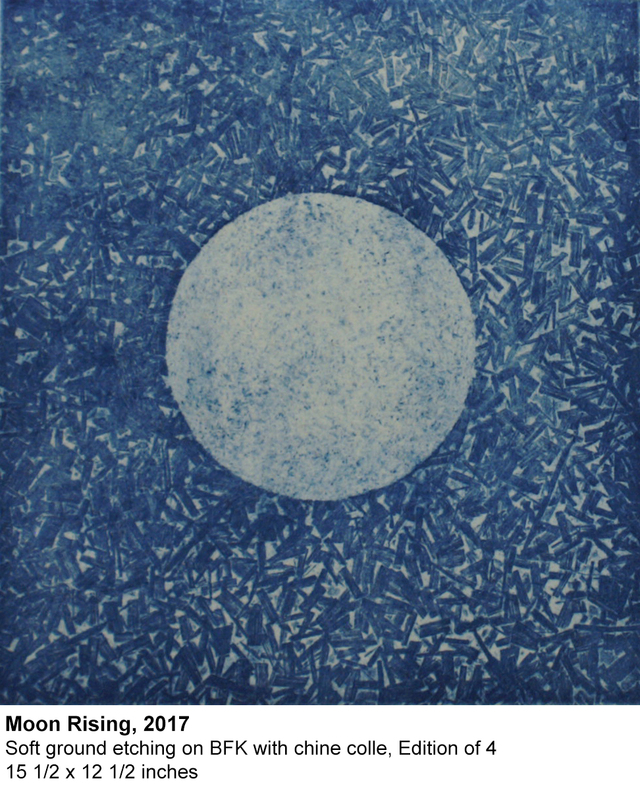 It seems natural to work in multiples and series and think of my prints as three dimensional – looking through space. My prints and silkscreens are typically large scale, giving the viewer a closer connection to the physicality of the work. Recently learning Mokuhanga (Japanese woodblock printing) from a master carver in Kyoto opened up new ways to work with wood as a matrix for printing.